BRYAN EATON/Staff photo. 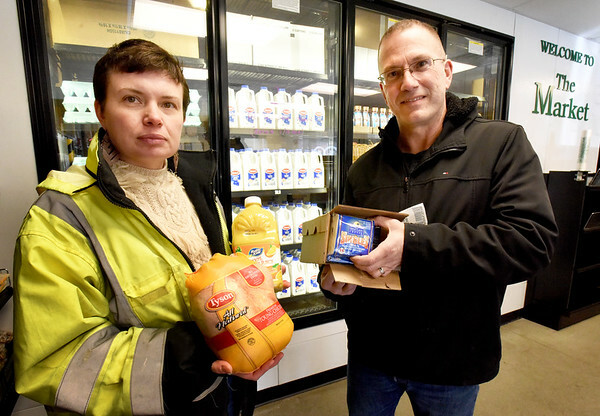 Our Neighbors' Table executive director Lynsey Haight, left, with Gary Terrio, warehouse manager show some of the foods the Amesbury gets from the federal government through the USDA: chicken, orange juice and cheese. With the partial government shutdown the future of the food supply is uncertain.